Go German... | German-American Societies of Milwaukee, Inc. Looking for an event, activity or resource not listed on our Calendar or Events pages, check out our supporters for German Restaurants, Bars, Events and other services available in Southeast Wisconsin. An American restaurant with a German flare serving breakfast, lunch and dinner. A full bar and outdoor seating. Traditional German dishes on our dinner menu. 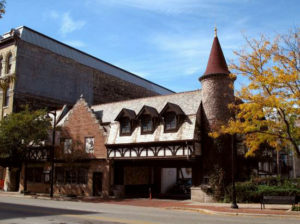 Kegel’s Inn serves up the most authentic German cuisine int the Milwaukee area. With our friendly service, time honored recipes and beautiful decor, it’s no wonder Kegel’s Inn is the locals go to. Since July of 1978, Von Trier has proudly served Milwaukeeans, friends and travelers. A uniquely German experience. The Usinger Family has been making sausage in Milwaukee, Wisconsin for over 130 years. 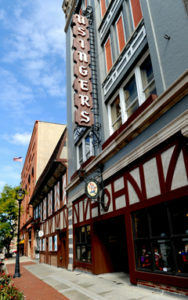 Usinger’s is a one of a kind, nationally recognized family business devoted to the craft of sausage making. Feinschmeckers (gourmets) will discover over 70 varieties of old world sausage. From a better bratwurst to an authentic beerwurst, superior European-style wurst doesn’t get any better than Usinger’s … producing quality sausage products and providing excellence in customer service since 1880. 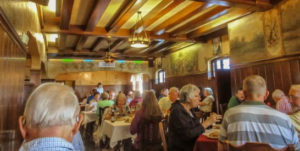 Mader’s was founded in 1902 when lunch was ​four​ cents, but if you drank two steins of beer at three cents for one stein, or a nickel for two steins, your lunch was free. 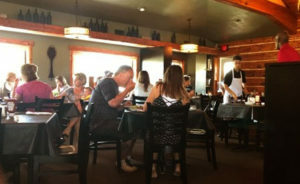 Today, Mader’s serves award winning German and Austrian dishes in public and private dining rooms. They cater events from twenty guests to ten thousand. Their gift store sells German steins and other ethnic imports. 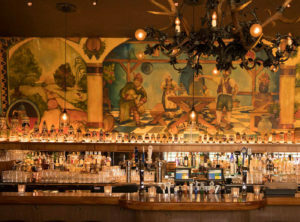 Von Trier Stein Club is a social club for German beer enthusiasts that enjoy socialization and gemütlichkeit. Contact us for more information! Become a Sponsor of the German American Societies and we will add your business to the appropriate areas of our Go German page.